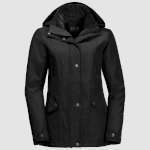 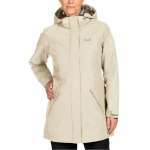 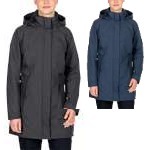 The Jack Wolfskin Women's Park Avenue Waterproof Jacket is a smart waterproof, windproof and breathable jacket that has a lovely warm fleece lining and a synthetic insulation to make this an extremely reliable and warm winter coat. 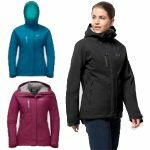 With a detachable hood and a Texapore outer, this jacket will ensure that you stay dry and protected from the wind and the rain. 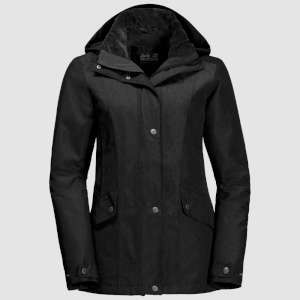 It is also incredibly breathable too which will ensure that you stay comfortable while enjoying a winter's day in the great outdoors. This classically styled jacket is easy to wear, and will ensure that you are snug and warm during those colder months thanks to the combination of an extremely warm high loft fleece lining and the warm polyfiber insulation making this a fantastic choice of winter jacket.